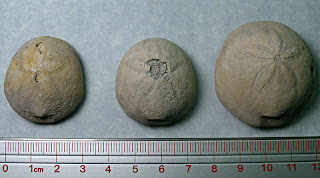 These pictures of brachiopod fossils are from the West Virginia-Virginia border off I-64 exit 183? (Monroe County, WV). 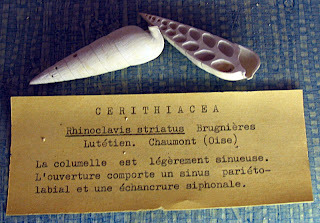 They were sent to me by a reader named David who was wondering about their identification. 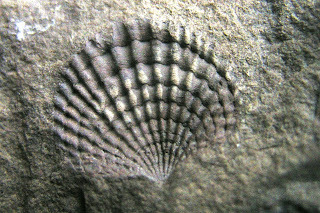 He writes they are similar to fossils he find in the Ordovician formations of Craig County, Virginia. If any one knows of what they might be, please post a comment. 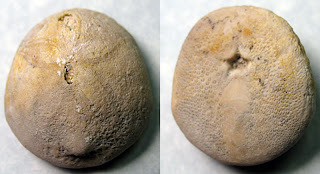 The 2nd and 3rd images remind me of muscle scars on the inside of a brachiopod shell. The fourth imprint looks like a Hebertella. Mostly I like to buy used reference books about paleontology published after 1927 that relate to fossils I am studying. So when I saw a list of used library books for sale on the Paleolist, a number of books on the list peaked my interest. 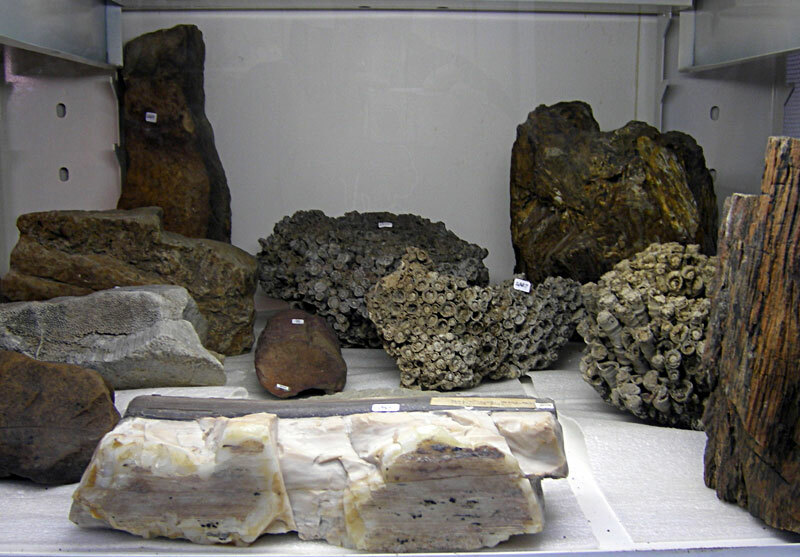 The seller was Jim Mills of Mills Geological of Creston, California. One should be cautious about ordering items on the Internet but after some research showing other transactions had taken place with this company and the organization had been in existence since 1992, I felt comfortable. 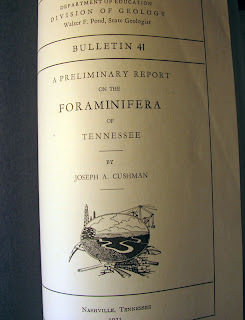 The two books ordered were: a collection of bound Tennessee Geological Bulletins from the 1930s (my interest was Bulletin 41 - A Preliminary Report on the Foraminifera of Tennessee by Joseph A. Cushman) and the other book Texas Cretaceous Echinoids by Rosemary E. and Thomas J. Akers of Houston Gem and Minerals Society 1987. 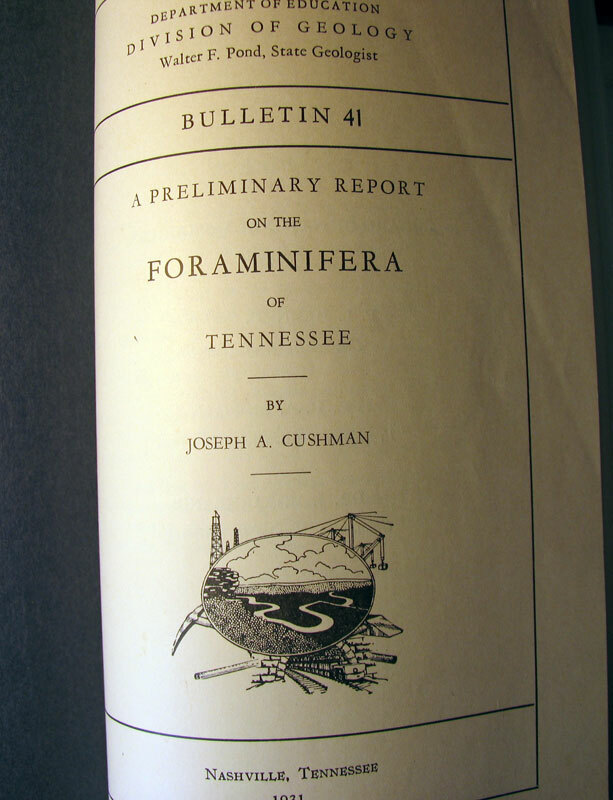 After briefly looking at the bulletin on Tennessee Foraminera, the study was based on two counties in the southwestern part of the state near the Mississippi border in 1929. The researchers were looking for formaninifera of the Eocene and Cretaceous Periods. 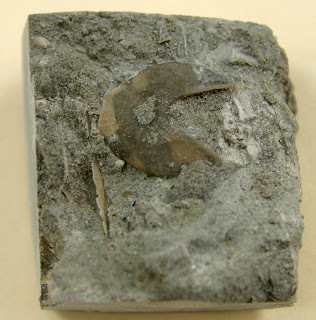 They did not find very many fossils in the Eocene but were surprised by the number found in the Cretaceous and how similar they were to ones found in Texas and Europe. 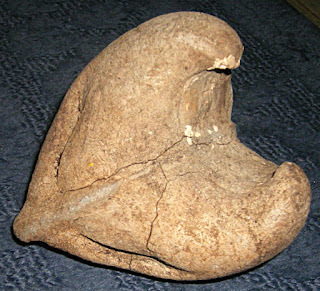 The fossils were found in the Selma Chalk similar to the Texas Navarro formation (European equivalent: Maestricetian). 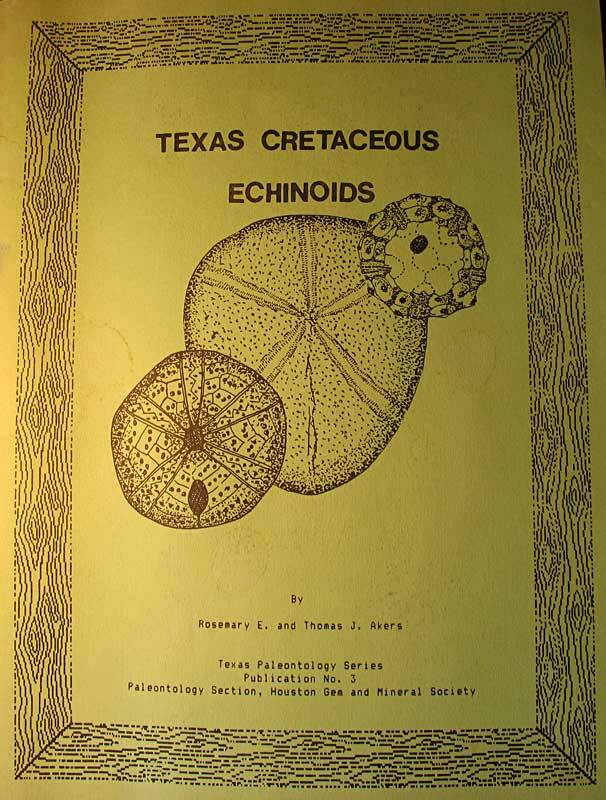 Mention of Texas fossils, leads to the other publication on Texas Cretaceous Echinoids. It is a 143 page guide. It starts out with an introduction to the fossils and Texas map showing the area where they are found. A stratigraphic unit chart is provided which by the way shows the Upper Cretaceous Navarro Group in the Gulf Series. 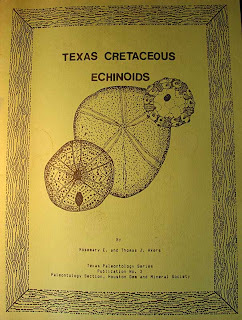 The book has additional sections on echinoid distribution, fossil preservation, classification, morphology, illustrations, identification guide, descriptions and drawings of Texas enchinoids, localities, references, and indexes. Both are nice additions to my library. This unknown fossil (bone?) was found near the fluorite mines of Marion, Kentucky. My cousin sent me this picture while visiting the Ben E. Clement Mineral Museum last weekend. He told me it is a great museum to visit in an out of the way part of Kentucky. They had a fossil displays as well at the museum including the one of corals and petrified wood in the following picture. 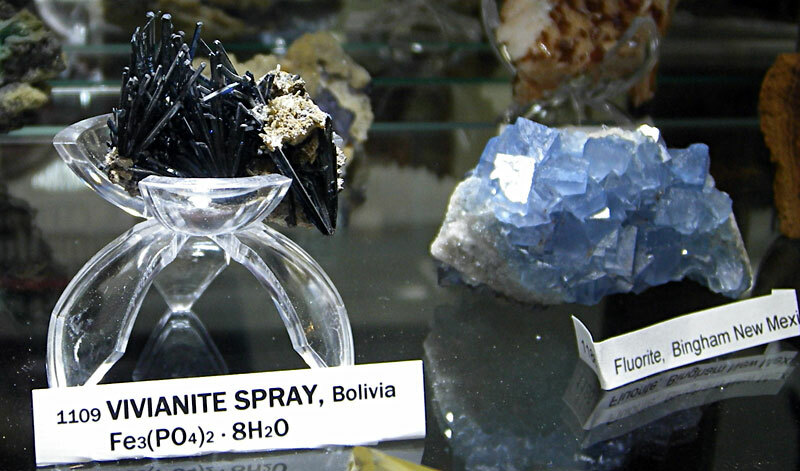 Of course, they have mineral specimens from around the world including this vivianite spray from Bolivia and blue fluorite from Bingham, New Mexico. 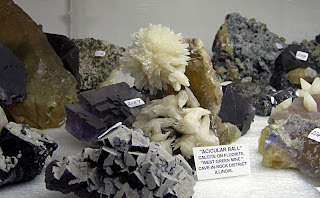 The main attraction is the fluorite and the Marion mines produced it! Here are some specimens from around the area. If you are interested in finding out more, below is information about upcoming mineral digs and their annual show. Dig Fluorite and related minerals during the day and fluorescent minerals at night. Pre-registration is required, so register early as space is limited to the first 30 people per date. Registration forms can be found on their website. They also schedule private digs for groups of 10 or more people. 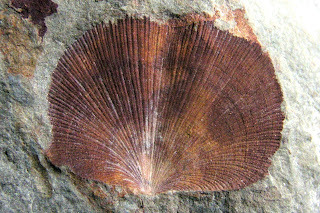 This picture is of a fossilized Mortoniceras sp. ammonite. It was found Duck Creek Formation of Fort Worth, Texas and is from the Upper Cretaceous Period. Note the prep work that has uncovered the suture pattern. Thanks to Herb for the image. Pictures shown in this posting are from Cretaceous Period (145-65 million years ago). 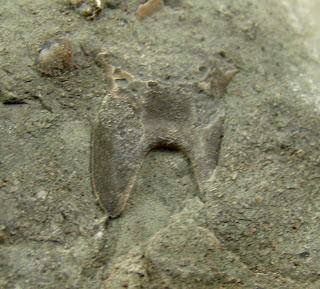 The fossils were found in the Fort Worth, Texas area. 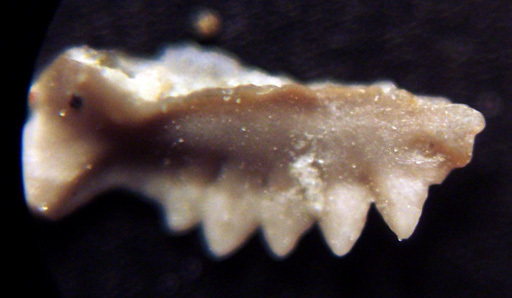 This first tooth belonged to the Cretoxyrhina mantelli (aka Ginsu Shark). Learn more on Wikipedia about it at this entry. According to that article its diet consisted of turtles, Mosasaurs, Plesiosaurs, and Xiphactinus. These next fossil teeth are of the extinct hybodontiformes Ptychodus anonymus shark. Looking at the teeth it appears to be a shell crusher. 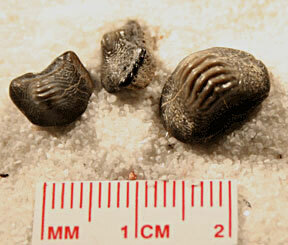 Another set of shell crushing fossil teeth of the Ptychodus whipplei shark. 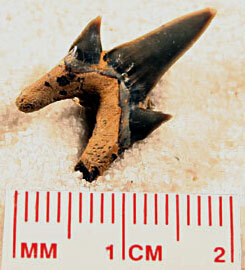 This fossil shark tooth belonged to the Scapanorhynchus (aka Spade Snout) shark. According to this Wikipedia entry, it is similar to the modern goblin shark (Mitsukurina owstoni). 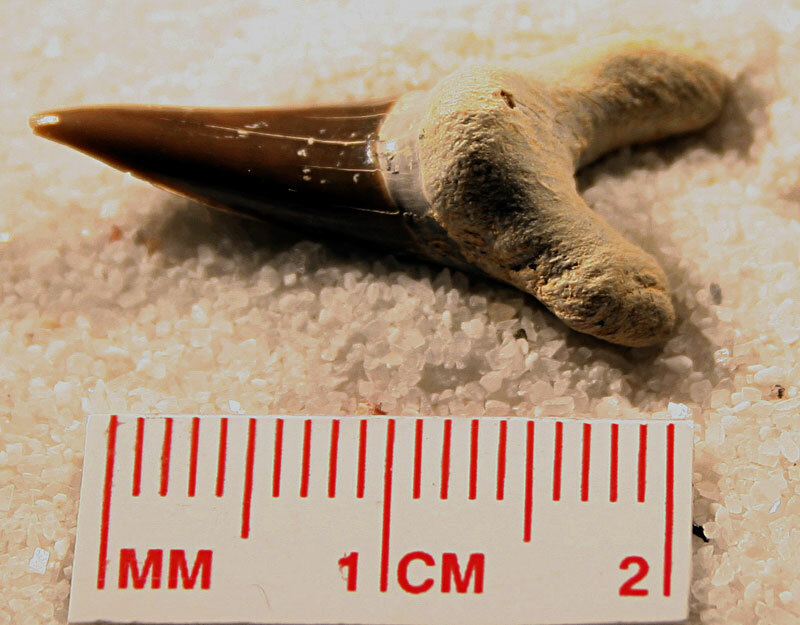 This last shark tooth belonged to a Protolama sokolov shark. Thanks to Herb for the pictures. 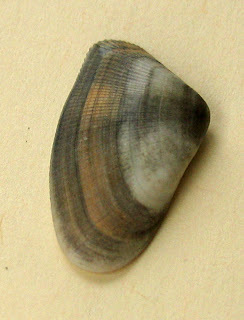 This fossil image is of a Kobrow, Germany otolith from the Oligocene Epoch. 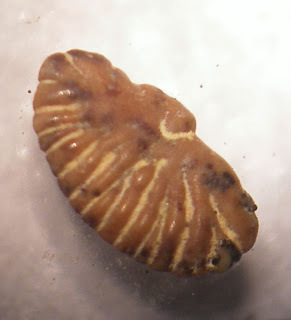 This next fossil is a foraminifera friend called Lenticulina simplex. These fossil pictures are compliments of my cousin Kenny. Finding trilobites is not an easy thing unless you live in Utah or Morocco near a trilobite quarry. The two trilobite fragments I present in today's post may not seem like much but they are the first pieces of species I have never found before. 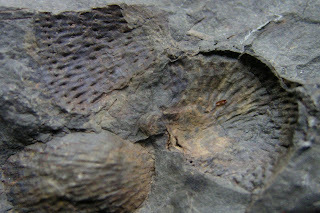 Both fossils were found in the Waldron Shale of Clark County, Indiana. This layer is also known as the Niagara Group and formed during the Silurian Period. The first piece made me wonder when it was found, is it part of a trilobite pygidium or some other creature? Not seeing any remnant of three lobes made me doubt it was a trilobite until my friend Herb identified it as a trilobite glabella. 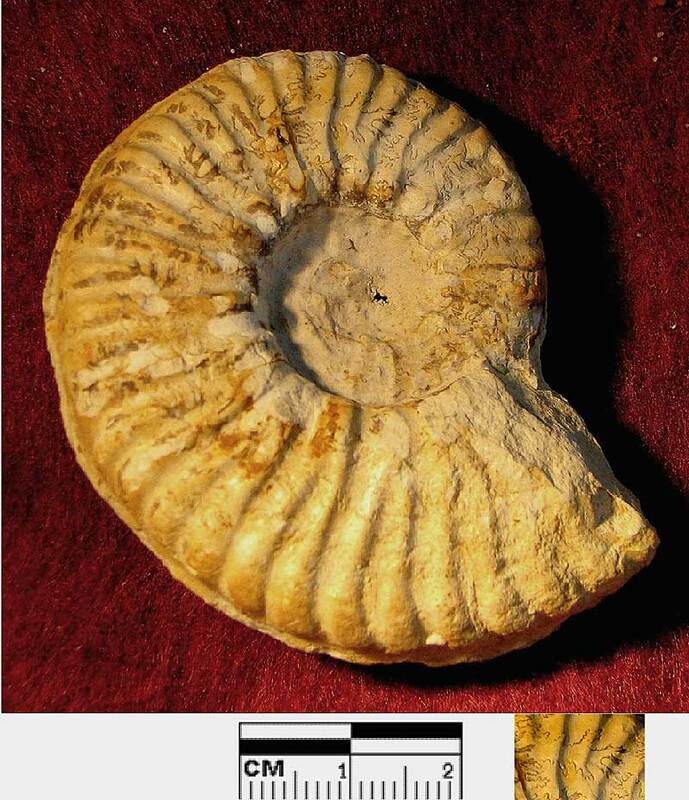 After consulting the Fossils of Ohio book's Silurian trilobite section, I found a match as a Cheirurus niagarensis (Hall). 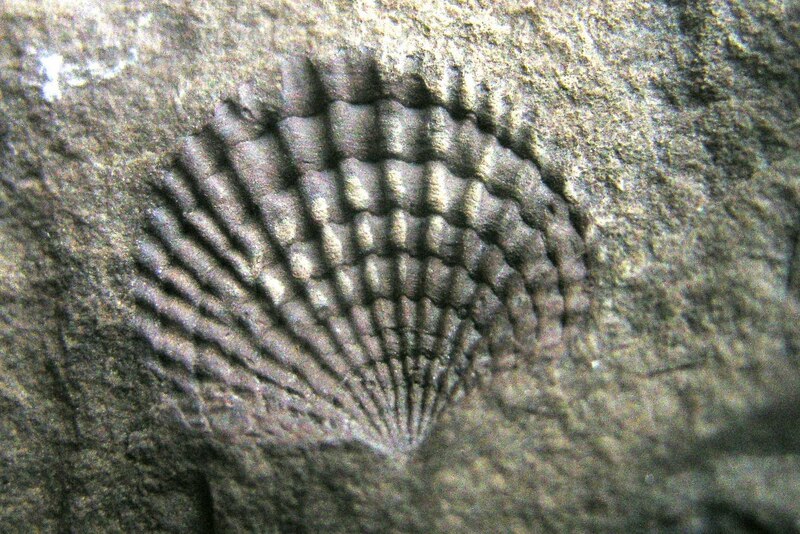 After more research, it was determined it can be found in the Rochester shale of New York and in Indiana,Wisconsin, & Illinois. Note this fossil has not been prepared. The image from the book I use for reference purposes below is of a Cheirurus welleri because the picture showed more of the cephalon. 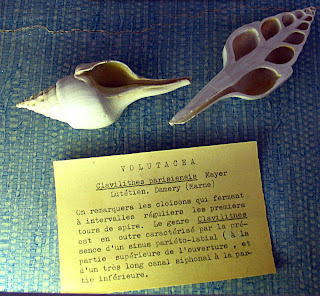 The article states the two species can be confused by the C. welleri has longer glabellar furrows. It also says this species is found in the Niagaran of Wauwotosa, Wisconsin, Clinton of New York, Waldron of Indiana, Silurian of Tennessee, and Guelph of Ontario. 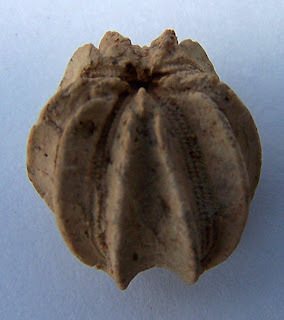 This next fossil I was unsure of as well because of the cephalon was so rounded (convex) and smooth. 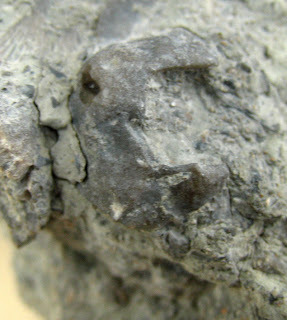 The fossil has an eye exposed. The specific characteristics are: -cephalon rather convex, with long dorsal furrows, no lip or concave border on the cephalon. Eyes of medium size, situated nearly their own length from the posterior margin, thorax short, pygidium long, rather pointed behind, with narrow concave border. 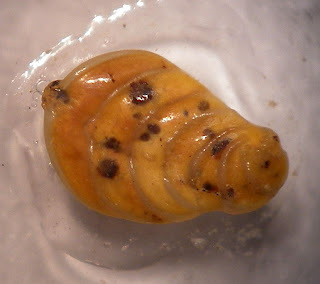 It will be once noted that this species is much like B. niagarensis, but has large eyes far back, and the pygidium is shorter and with less depressed margin. Fossil is unprepared. Thanks to Herb for help with identification. Image from Plate 1, Figure 3 - by E.N. Fischer, Del. 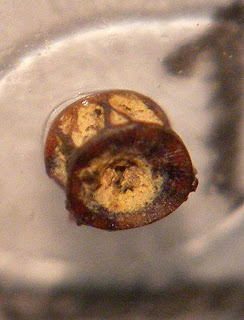 Kobrow, Germany fossils as observed under a magnifier. 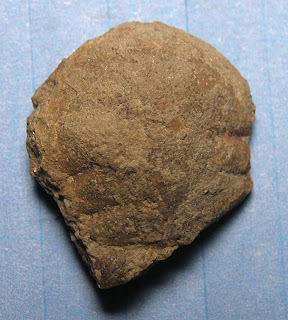 This first fossil is a segment of an unknown fish vertebrate. 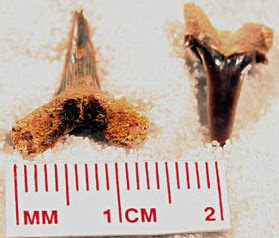 All fossils shown are from the Oligocene (33.9 to 23.0 million years ago). 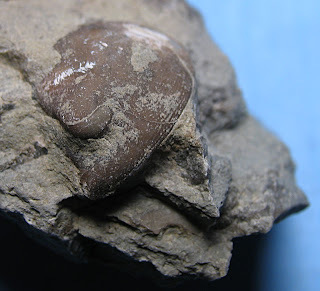 This next fossil is no stranger to this blog being the Palmula obliqua foraminifera. 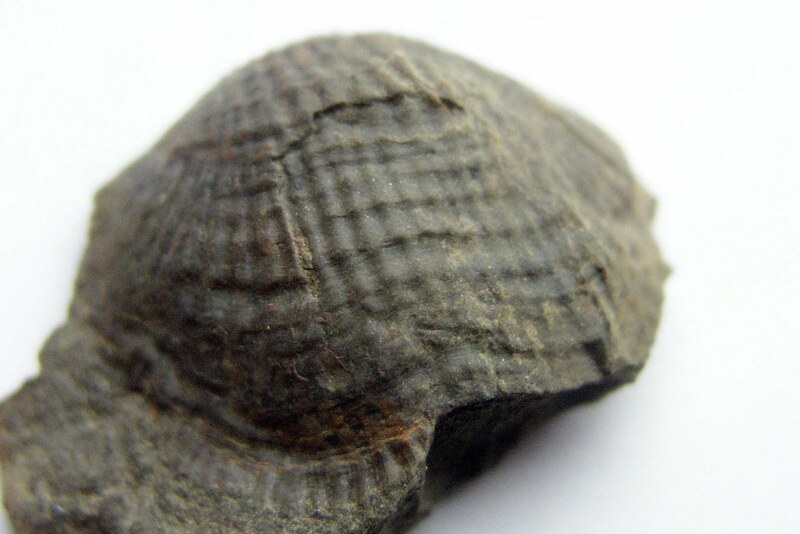 Last fossil is an unidentified shell fossil. All images courtesy of my cousin Kenny, Nice hunting with the microscope! 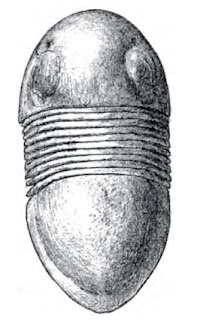 The Isotelus trilobite's feeding scoop (hypostoma) fossil found in the Lexington limestone of Franklin County, Kentucky. 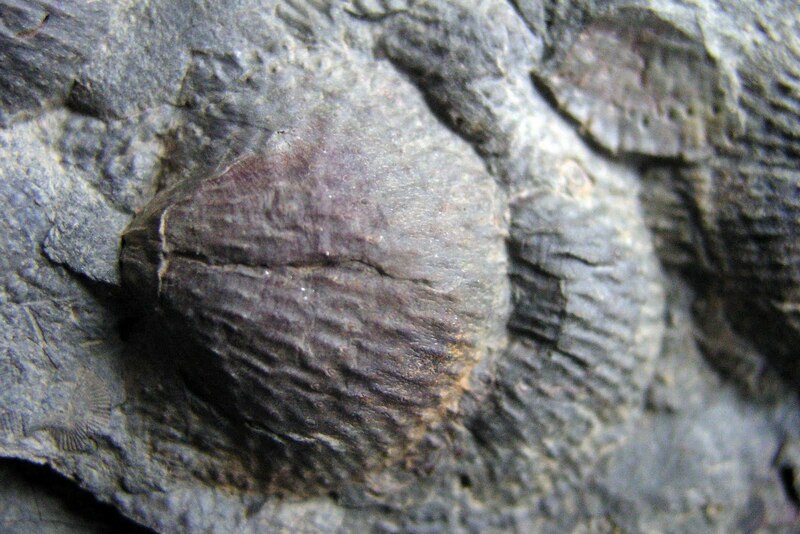 This trilobite existed in the Ordovician Period. 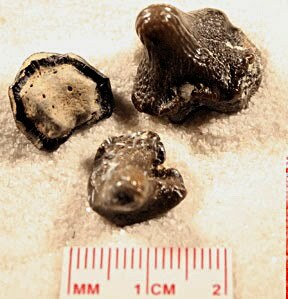 These fossils were part of a larger rock plates but using a diamond saw blade attached to a water cooler it downsized the pieces. Author David B. Williams carves and shapes words into a thought provoking book on stone and its role in history, science and art. 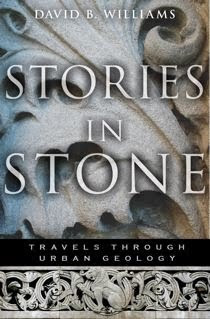 The book, Stories in Stone: Travels Through Urban Geology was published in 2009. 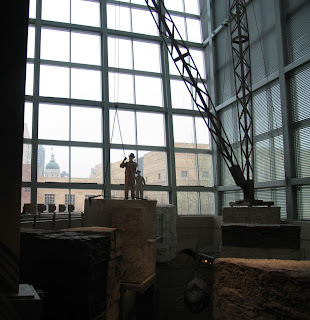 It contains a wide variety of stories that revolve around the theme of building materials and our human history. My perspective reading it was more from a paleontological view and I was not disappointed by Mr. Williams discussions of fossils and their ties to building materials. The first chapter on brownstone relates to a story of finding dinosaur tracks which in 1800s America were interpreted as ancient bird prints. 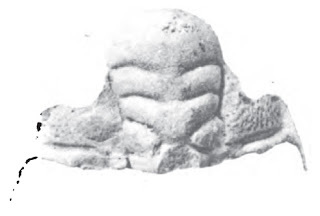 When writing of the Boston granite, a discussion of the Paradoxides harlani trilobite appears and tying together the North American continent with Africa. The microscope would have revealed a world population of protozoans inhabiting one-twentieth-of-an-inch-wide-shells, each made of a half dozen chambers coiled like a poorly made cinnamon roll. 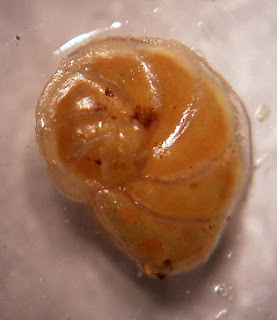 Known as foraminiferas, they lived for a few months, died in the lagoon, and settled amid the billions of shells of their cohorts. 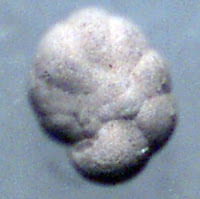 Forams are an abundant fossil in some parts of the Salem, but because of their wee size they are rarely visible in the stone. When you see a Salem wall you are looking at a cemetery of epic proportions. 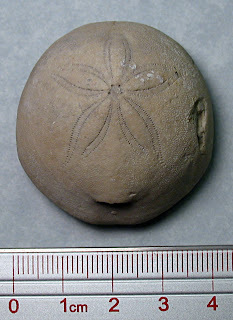 Of course the author is referring to the Endothyra (aka Globoendothyra) baileyi foraminifera which can be found at Spergen Hill, Washington County, Indiana. The chapter also reveals that Spergen limestone is found in eastern Colorado but that same layer is known as Salem in Kansas and Illinois. So I guess that might be why that hill was given that name. David Williams mixes poetry into his text and its relation to stone whether citing a Oliver Windell Holmes poem or a chapter describing the poet Robinson Jeffers ties to Carmel granite. Mr. Jeffers built a house and tower in Carmel, California from the granite he harvested there. The process produced works of poetry and some impressive hand-built structures. Quarries play a big role in the book and there are many descriptions of them. The fascinating story of the building of the Bunker Hill Monument from Quincy, Massachusetts granite is unveiled. The author ties in the use of the "plug and feather method" of stone cutting and early railroad building to move slabs to launch the Boston granite quarries. The chapter about Michelangelo's marble and all the problems Standard Oil had after using it for their Chicago office building was a lesson in using the right materials. 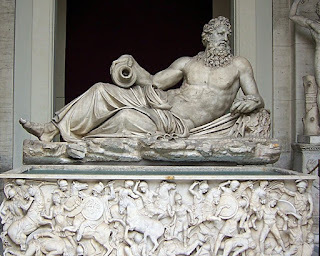 It was informative about where in Italy Carrara marble is quarried and how much of it is used today. At the end of the book there is a glossary of geological terms, research notes/sources sectioned by chapter, and an index. Inside the back of the jacket lists the book Web site www.storiesinstone.info plus color photos and back stories on the author blog at stories-in-stone.blogspot.com. Once finished reading, one will have a new perspective on the stone structures seen in everyday life. It inspired me to seek out buildings around Louisville, Kentucky whether it be the modern Humana building with its polished pink granite or Bedford Limestone trim on TARC's Union Station or the Gene Synder U.S. Courthouse. Highly recommended and available at amazon.com or the check worldcat.org for copy in a library near you. 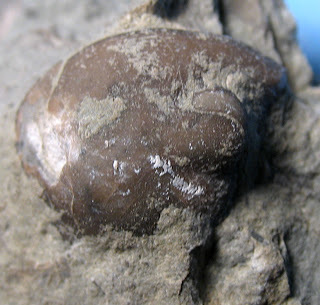 This recently found blastoid fossil was uncovered in Hardin County, Kentucky. 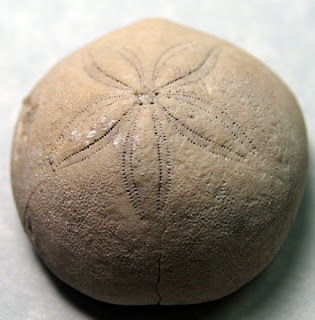 It came from the St. Genevieve formation of the Mississippian Period. Not sure of its exact identification. Thanks to Pam for the images and nice find! 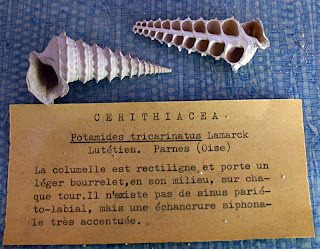 Snail fossils from Parnes (Oise), France from the Eocene Epoch and Lutetian Stage (40-48 million years ago). 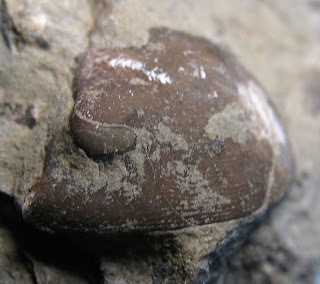 This first fossil is called Potamides tricarinatus. 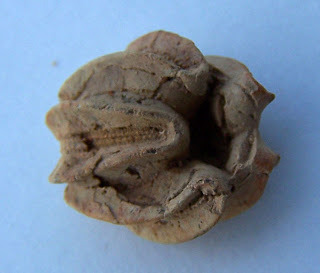 This next fossil is called Rhinoclavis striatus from Chaumont (Oise) France. 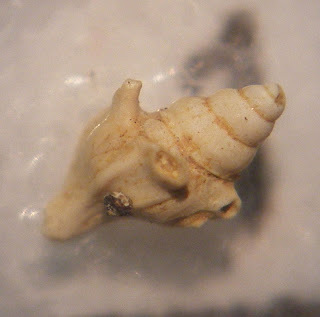 This fossil is called Turritella terbellata found in Chaumont (Oise) France. 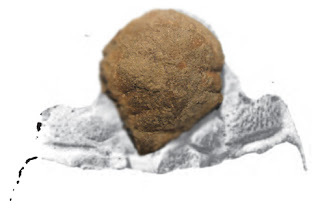 This last fossil is Clavilithes parisiensis found in Damery (Marne), France. 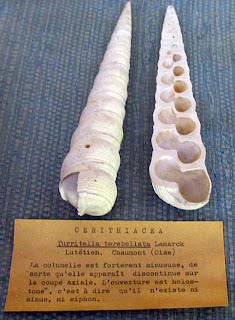 All fossils were photographed on display at the Museum of Natural History in Paris, France. 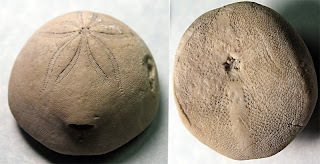 This sea urchin fossil (enchinoid) is called Rhyncholampas gouldii. 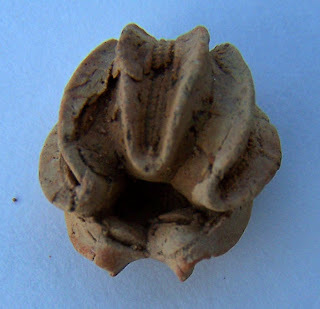 It is found in the Tamiami Formation of Suwannee County, Florida. The creature existed 2.5-5 million years ago (Pliocene Epoch/Neogene Period/Cenozoic Age). The fossil was in a white, chalky matrix. Thanks to Mary Ann for the fossils and my cousin Kenny for cleaning them up using sand/air abrasive cleaning. Unfortunately, I did not take any before pictures but they looked like Mexican wedding cookies (a little mound covered powdered sugar).